Hoping to have a positive impact on other people’s lives, Natalia Zunino has dedicated nearly six decades to her career as a psychologist. She started out as a researcher at Time-Life Books, and proceeded to obtain positions as a staff psychotherapist at the Metropolitan Center for Mental Health and the Washington Square Institute. 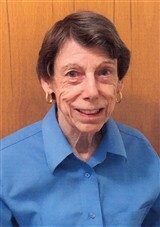 The experiences spurred her rapid advancement through the field, including to roles like supervisor and staff psychotherapist at the Eating Disorder Resource Center, faculty member at the Center for Study of Anorexia and Bulimia, family and couple psychotherapist at the Institute of Contemporary Psychotherapy, and participant in the Intensive-External Program at the Family Institute of Westchester and the Eastern Group of the Psychotherapy Training Program. Now, Ms. Zunino is serving her community as a supervisor in the Center for Study of Anorexia and Bulimia and in the Metropolitan Institute for Training in Psychoanalytic Psychotherapy, as well as in her private practice. Ms. Zunino prepared for her endeavors by earning a Bachelor of Arts from Mount Holyoke College in 1959, a Master of Arts from Columbia University in 1962 and from New York University in 1975, and a PhD from New York University in 1982. She then joined prominent organizations like the American Psychological Association and the National Eating Disorders Association. To keep in touch with her peers, Ms. Zunino authored “Sociology: The Study of Human Relationships,” contributed numerous articles to professional journals, and worked as an adjunct assistant professor at the College of Staten Island. She was also an editor of “Psychology: Its Principles and Applications,” and a senior editor at Harcourt Brace Jovanovich. In her spare time, Dr. Zunino enjoys horseback riding and gardening.